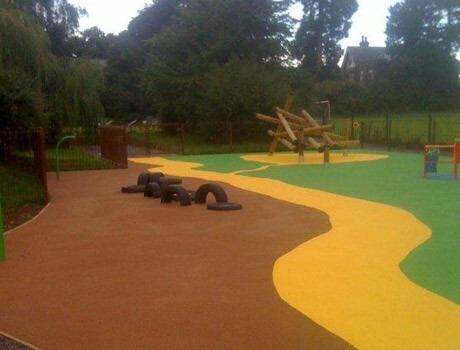 West Oaks SEN School’s project delivered a stunning outdoor playground for the school children with special educational needs. 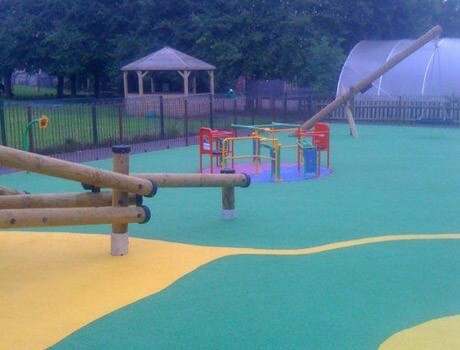 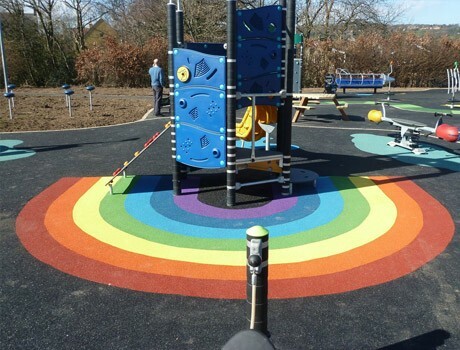 The design brief included creating a sizeable area of flexiplay wetpour safety surfacing in a continuous surface, with vibrant colours and no trip hazards, for open and free play. 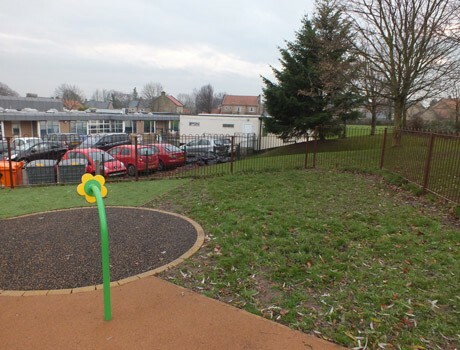 Within this area a meandering yellow pathway leads the children to the different play activities which include a flush mounted roundabout, especially designed to accommodate special needs. 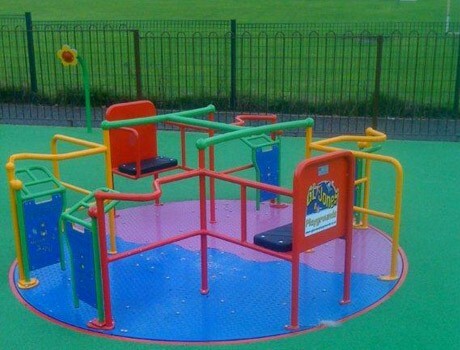 The colours work magnificently with primary colours standing proud in red, blue, green and yellow. 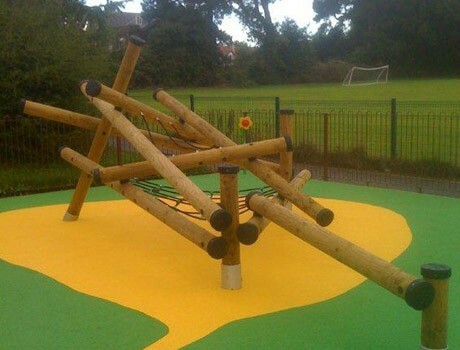 A stunning centre piece timber Clamber Stack was installed which provides unlimited climbing, clambering, moving, coordinating and balancing activities for all levels of physical abilities. 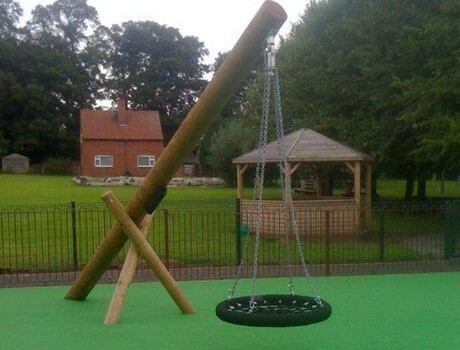 A massive cantilever swing with a basket swing seat was also included within the playground design which is ever popular as the height of the swing unit provides a huge swing ark, providing wonderful sensations for the children within the basket. 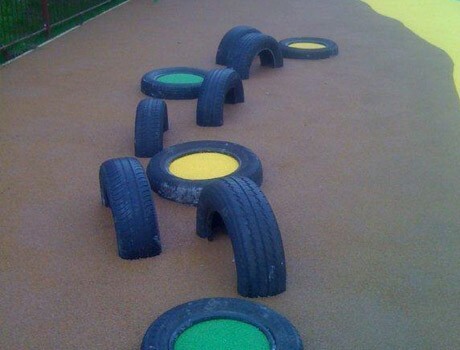 The tyre park was installed into the Flexiplay wetpour and received wetpour coloured infils to provide stepping pods which can be clambered or jumped on and over. 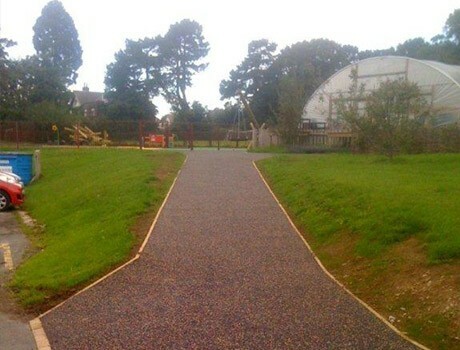 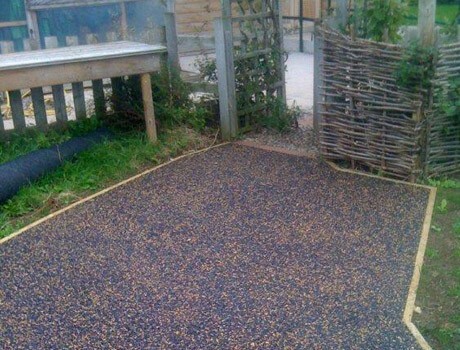 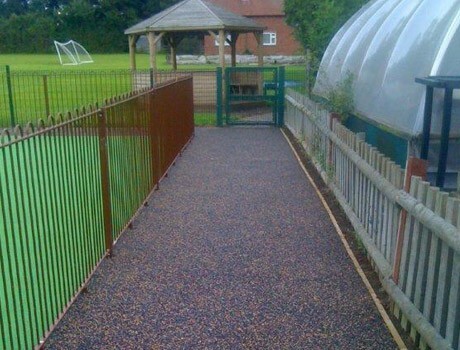 A Flexiwalk Rubber/Aggregate pathway was laid as the primary access route to the new playground facilities, which is porous whilst being kinder than tarmac in the event of trips and falls. 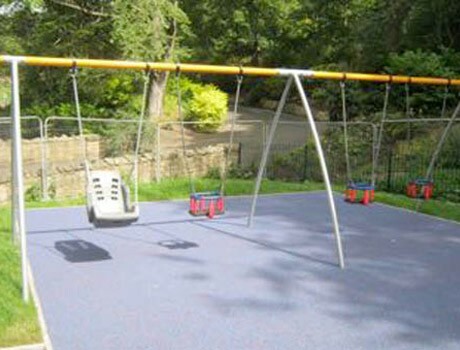 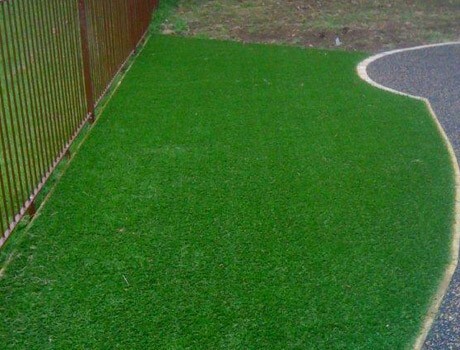 The constitution of the surface is predominantly recycled rubber granules which are mixed with an aggregate product providing great grip qualities and being very sturdy and durable.